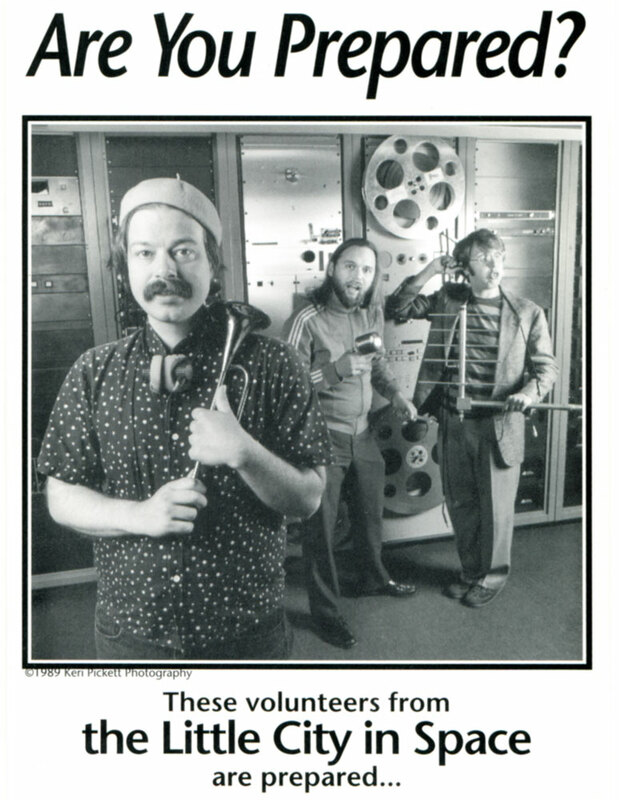 Stu Mathews, Peter Stenshoel and Jerry brought back Little City in Space to KFAI in 1988 after a three year absence, and Golden Cage Vol. 4 collects audio examples with Planet-Go-Round, Jolly Gambler Department Store, Big Gunny Sack O’ Peanuts, Paul Bunny, News from Nowhere (“The Hollow Earth is real!”), live Skeleton Crew (Fred Frith, Tom Cora, Zeena Parkins). Listen now to Golden Cage Volume 4 on archive.org. Here’s a taster: Stu and Jerry’s ad for the galaxy’s biggest amusement park, Planet-Go-Round!